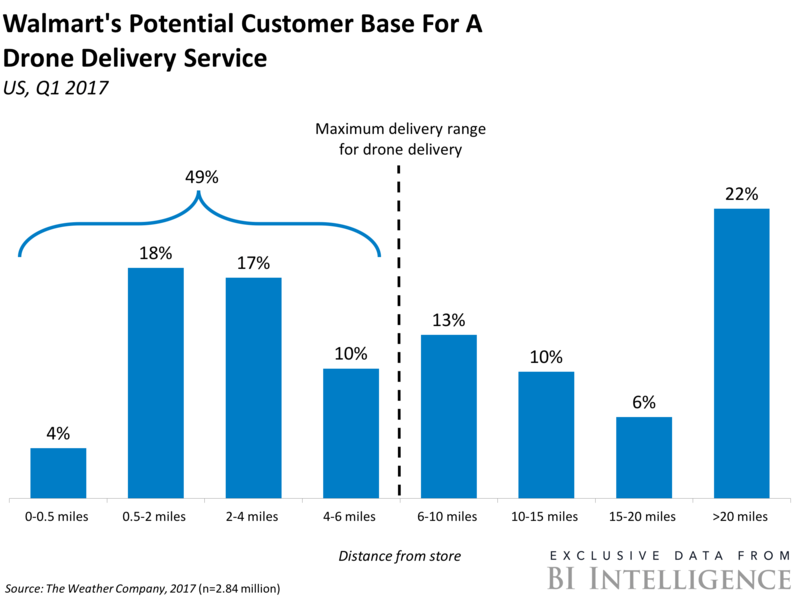 Predictions about the coming use of drones in retail deliveries have been made for several years. Click here for a 2013 video example of this involving Amazon. Here’s the potential for Walmart. This entry was posted in Part 2: Ownership, Strategy Mix, Online, Nontraditional, Part 3: Targeting Customers and Gathering Information, Technology in Retailing and tagged 2017, BI Intelligence, drone delivery, potential, video. Bookmark the permalink.